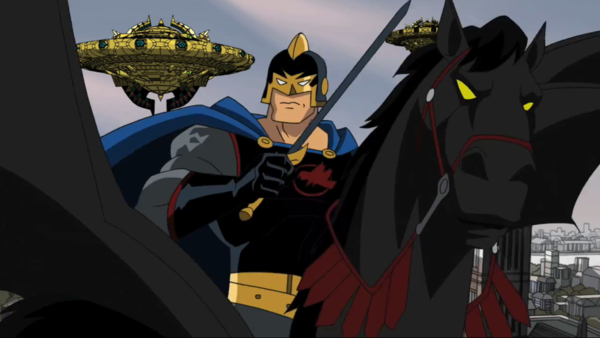 Since the character of Black Knight was first introduced to Marvel Comics in 1955 by Stan Lee and Joe Maneely, he's experienced both highs and lows. For starters there have been three different versions of the character, but the most famous is Dane Whitman, who was introduced in 1967 by Roy Thomas, John Verpooten and George Tuska. Whitman is the version most likely to appear in the MCU, having spent some time with the Avengers, but despite having stints on Marvel's most famous super-group he hasn't managed to find his way into other media on the regular. In fact his only appearance in animation came in an episode of Avengers: Earth's Mightiest Heroes, and he's only managed to break into the gaming medium on three occasions, once in an arcade game from 1995, a Facebook game in 2012, and then in a DLC pack for Lego Marvel Avengers. Factor that in with Knight not being a regular feature of Marvel's comics, and it becomes easy to understand why he isn't considered to be among the most prolific in the publisher's library. Still, this wouldn't be the first time Marvel Studios have taken once-obscure characters and transformed them into mega-hits. Pretty much everyone reacted with confusion when a film centred on the Guardians of the Galaxy was announced, but given how the MCU is yet to put a foot wrong in their latest phases, expect Knight to be a welcome addition should he arrive.